Cosmopolitan Players present The Vicar of Dibley. When their vicar passed away in the middle of a service, the inhabitants of the small village of Dibley expected his replacement to be another old man with a beard, a Bible and bad breath. Instead, they got Geraldine Granger, a woman who enjoys nothing more than a good laugh and a packet of chocolate HobNobs. The thoroughly modern, pop music-loving vicar is far from the only eccentric character in the village. 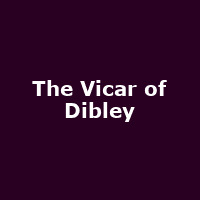 Cosmopolitan Players serve up three hilarious episodes from one of the most popular TV sit-coms, The Vicar of Dibley - Songs of Praise, Radio Dibley and Celebrity Vicar.